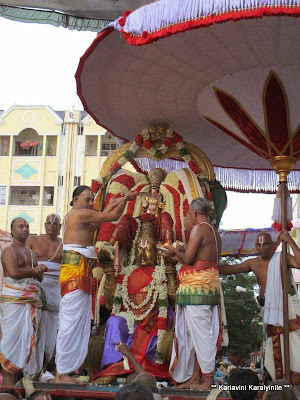 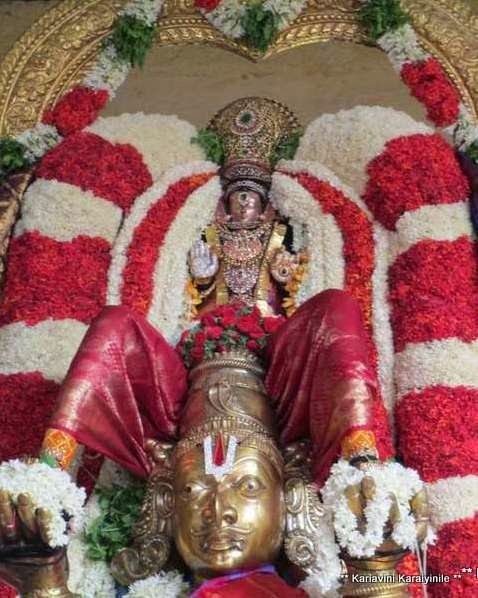 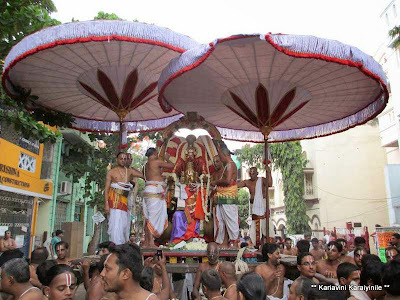 The Aani Brahmothsavam of Swami Thelliya Singar [Azhagiya Singar] is now on at Thiruvallikkeni divyadesam and today, the third day of the Uthsavam is an important day ~ it is Garuda Vahanam for Perumal. 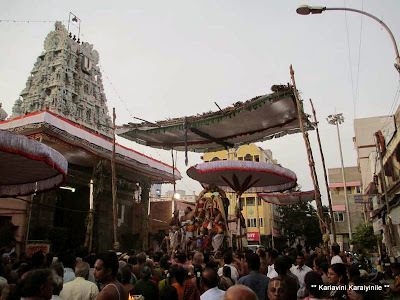 This morning [20th June 2013] @ 0530 am thousands waited to have glimpse of Lord as he came out of the Western gate sitting on Garuda. Then there was the decorative ‘aesal’ at Thulasinga Perumal Kovil Street. 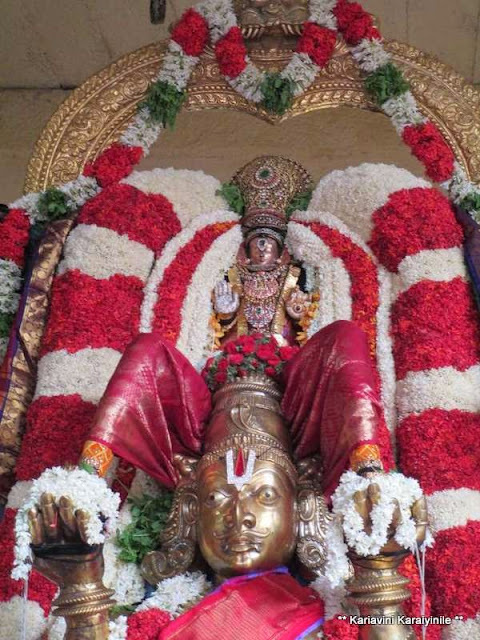 On this day, people from far and wide come to the temple, offer vasthram, place before Lord cocoanut, fruits & other offerings and have darshan of Lord in Garuda vahanam.